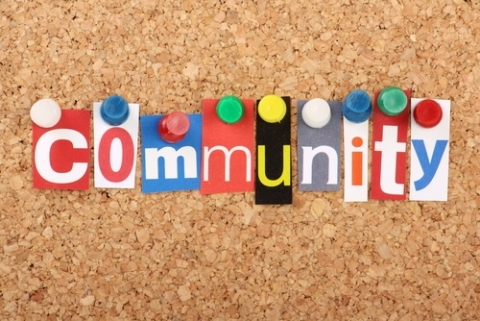 One of my core values, as a top Realtor in Madison Wisconsin, is Community. I love my community and choose to make it a better place to live by taking an active role in local community organizations. One thing that's common among top real estate agents is that they have a very large network of people that they stay in contact with on a regular basis. Years ago I chose to be take a more proactive approach to joining various groups on Madison to be a more involved citizen and better connect more home buyers and home sellers. One organization that I joined several years ago was Madison MAGNET. Founded in 2004 as a group to unite talented young professionals from Madison and its surrounding areas. They focus on five development areas: Community Involvement, Entrepreneurialism, Professional Development, Public Policy, and Social and Cultural areas. I have served as a committee chairperson and board member. The Cystic Fibrosis Foundation is near to my heart because of a close friend who had Cystic Fibrosis. I have helped this organization with a variety of fundraising and awareness events. Most notable was working with a close friend on a rock climbing event that raised nearly $24,000. Downtown Madison Inc is a very powerful and motivated organization where I have met numerous interesting people. Their membership helps to grow and enhance downtown Madison to be a thriving economic engine that enhances quality of live for businesses, residents, and visitors. As one that lives and works downtown, this is an organization that really means a lot to me. The Greater Madison Chamber of Commerce is a group of over 1400 individuals that I have connected with over the years to make great friendships and learn more about the business community in Madison. In my undergraduate days at Lawrence University, I joined Beta Theta Pi fraternity and have recently stayed on to help as a member and recruitment adviser to further shape the lives of young men in college to become men of principle. The Polar Plunge has invigorated my soul by jumping into Lake Monona in February. On three separate occasions I have decided to take the "plunge" and raise several thousand dollars for the Special Olympics. To gain a better perspective on local politics, I first went through the CIVITAS program a few years ago, followed by Leadership Greater Madison. Both of these mini courses gave a lot of insight into how local politics really works and I made some invaluable connections to some wonderful people. As a follower of Christ, I am a regular attender at Blackhawk Church and am inspired on a regular basis to learn how God continues to work in our lives. While this list is not completely comprehensive, it does give a snapshot of the many organizations that I stay involved in on a regular basis. For anyone considering selling their home, having a Realtor with strong connections to the community can often make a big difference with a larger database of potential buyers. Josh Lavik - Keller Williams Realty - 608-234-1523 - joshlavik (at) kw (dot) com.